The above info came from Ashley, and was edited by yours truly (contact me). William T. Spears has short, neatly-combed dark brown hair, and yellow-green eyes. He is always dressed in a black suit, black tie, black gloves and black shoes. He wears rectangle-shaped glasses that have four decorative lines on each side of the frames. 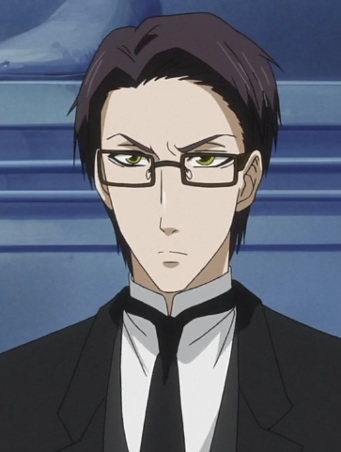 William is emotionless, calm, responsible, serious, mature, and he also deeply hates demons, working overtime, and Grell. The above description came from Ashley, and was edited by yours truly (contact me).